Atesh obtained his B.tech degree in Biotechnology from National Institute of Technology (NIT), Durgapur, India in 2009. 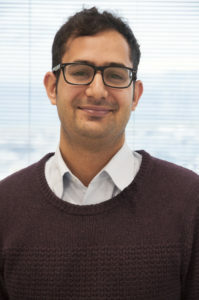 He joined the “National Brain Research Centre, India” in 2010 where he worked on a project on understanding numerical representation in bilingual population. Currently, he is pursuing his doctorate degree at the Italian Institute of Technology, Genoa, and he is working on understanding how intentions are inferred from human movements. Understanding others’ mental states and intentions is an important component of social cognition. His interests are in investigating neural mechanisms of the ability to extract intention information from movements. PLoS One, 10(3), e0120432 1. doi: 10.1371/journal.pone.0120432. Frontiers in Human Neuroscience, 8:326. doi: 10.3389/fnhum.2014.00326. Aegina Summer School 2017, Social cognition: From interactions to intersubjectivity, Greece. Oxford Autumn School in Cognitive Neuroscience, UK. Theories of understanding others: Theory-Theory, Simulation, Interaction theories. Koul A., (2015) Individual movement styles influence intention detection. International Workshop on Cognitive Development for Friendly Robots and Rehabilitation, Italy. Neural correlates of number processing in Hindu-Arabic bi-numerates. Brain Networks for number comparison in typical Hindi-English bilinguals reveal a cross-proficiency.